Miserable day and both full of cold, so not wanting to go out for very long, although we did get out for a bit of a wander together and then again on my own. This is my second attempt at this, but my first go at this feather it was so dusty that I abandoned the results. It's a magpie feather that's been living on my bathroom window, hence the dust. This has not been converted, it's naturally monochrome. This has been tagged for a couple of challenges the minimalist texture form challenge 2 and to that end there's a minimum of processing on this shot, small crop, tweak of curves, that's it. And the other tag is for new black and white challenge bw-37 where this topic is bubbles and/or droplets. 2. Even with a couple of days not getting out, I've still walked over 38 miles this week, so on target for 2000 miles this year. it works like a magnifier. 2000 miles this year? An average of 5, 6 miles a day. Wow, impressive. isn't veggie suet an oxymoron? i always thought suet is animal fat. i better take a look at my webster. fabulous close up shot. aces! @summerfield it's hard vegetable fat - palm oil and/or coconut fat. But suet comes with wheat flour - this is the first time I've found any suet without wheat. And there are a couple of recipes I really like with suet. Great shot, and interesting re the suet. I will mention that to my husband who is intolerant of gluten and other foods. Interesting to read about the natural monochrome. 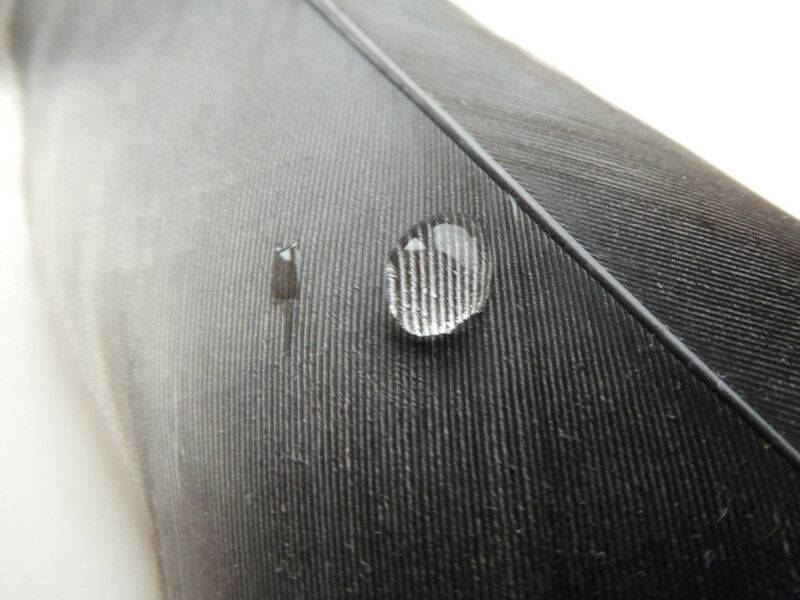 I like how the water droplet is magnifying the texture here. Such an interesting motive, I like the fact that this is natural monochrome with a natural magnifier. This is such a great minimalist shot with super texture and composition! Well done and A FAV!